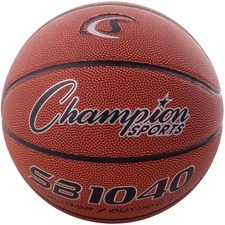 Get in the game with this junior-size Composite Basketball that meets High School and NCAA specifications. 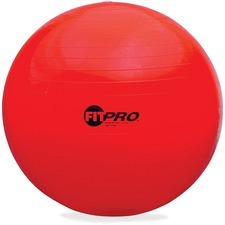 27-1/2" ball features a long-lasting composite cover and an airtight, two-ply butyl bladder so that you'll spend more time out on the court and less time fiddling with the air pump. 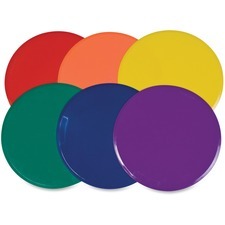 Extra-large spot marker features a versatile design that can be used for a variety of drills and games. Nonskid surface prevents them from sliding on the floor for enhanced safety. Durable vinyl construction won't rip or tear to withstand everyday use. Assorted colors are easy to see and stand out during use. Spot marker is perfect for setting up training stations, teaching court positioning and more. 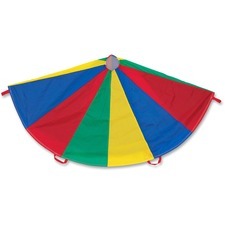 Multicolored parachute provide stimulating fun for kids of all ages. Made of rip-stop nylon material for extra durability, all the panels are double-stitched for added strength for heavy use. The convenient handles are also double-stitched so they will not tear or come loose. The reinforced mesh center allows ample airflow and prevents balls (sold separately) from rolling through. SoftZone Little Me Corner Climb and Slide is the perfect beginner climber. It will help little ones gain confidence and enjoy learning to climb and slide on this brightly colored beginning climber. Climber includes a ramp, slide, upper platform and lower platform. 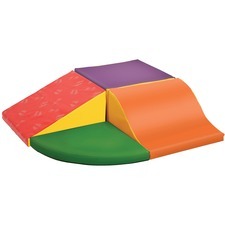 It is designed specifically for use in a corner to ensure a safe, fun playtime. Polyurethane foam shapes are covered in reinforced, phthalate-free vinyl that is easy to clean and sanitize. Wall climber is recommended for children from 6 months to 3 years old. 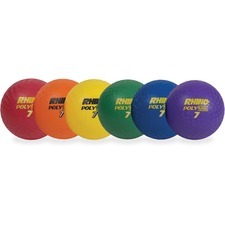 Training and exercise ball is made from high-quality, Italian resin to resist bursting during your exercises. Flexible construction is soft and lightweight for comfortable handling. Strong, durable design keeps the air pressure at a consistent level to prevent frequent adjustments. Training/exercise ball is perfect for improving balance, posture, flexibility, core strength and hard-to-reach muscles. Climb in, on or around this Peek-A-Boo Caterpillar. It is a smaller version of ECR4Kids Gus Climb-N-Crawl Caterpillar for the little ones. Children will enjoy counting the caterpillar's brightly colored feet and discover a variety of lively colors. Preschoolers will be enticed to climb up onto the Peek-A-Boo Caterpillar and hug its head and neck as well as to crawl through the sunlit tunnel. They can perch on top to sing songs with friends or listen to a story. The Peek-A-Boo Caterpillar is great for active play so preschoolers can stretch their legs and imaginations. Heavy-duty plastic caterpillar is specially designed for use inside or outside. It is recommended for children ages 2 to 6 years old. Four-ring basketball stand features a handy storage bag to keep basketballs (sold separately) organized when not in use. Three outer hoops turn in for convenient storage. 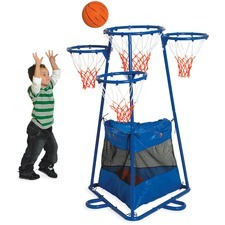 Basketball stand is designed for children ages 3 and up. Get in the game with this official-size Composite Basketball that meets High School and NCAA specifications. 29-1/2" ball features a long-lasting composite cover and an airtight two-ply butyl bladder so that you'll spend more time out on the court and less time fiddling with the air pump.